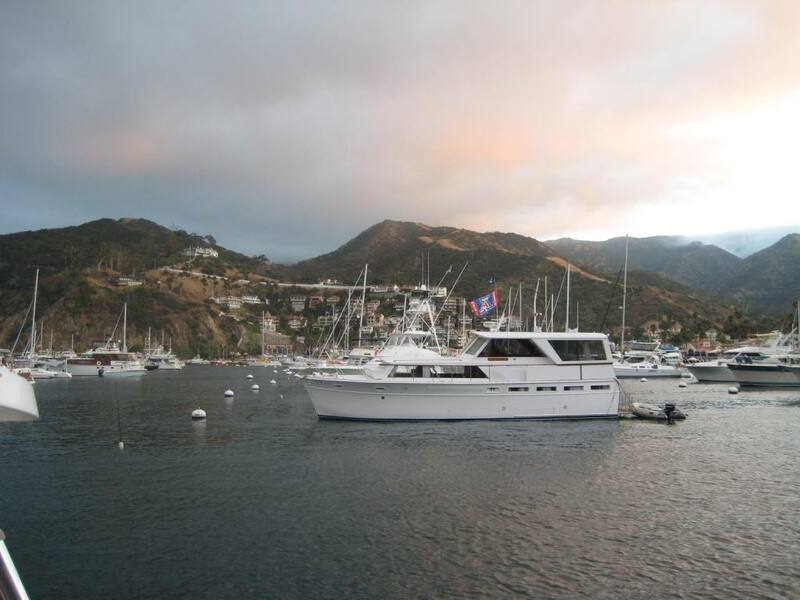 Today, we motor sailed down the coast of Catalina Island to Avalon Harbor. 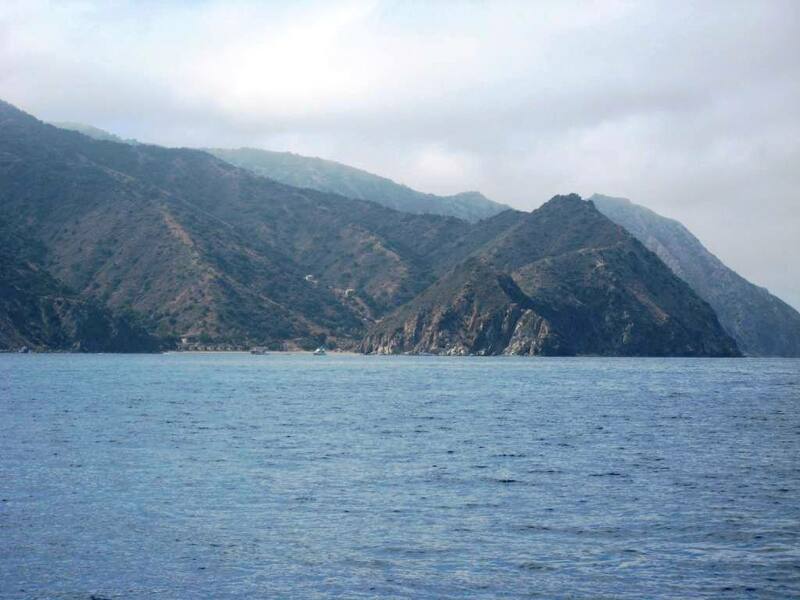 Catalina Island’s coastline is beautiful. Much of it has been cut from large storms and rain. The photo does not do it justice, but the cliffs consist of various shades of red, green, tan and white and constantly change with the position of the sun.. Along the way we also discovered several great harbors and anchorages, that we will probably return to. The trip was pretty fast, although there was no wind and we had to go off shore to empty the sewage tanks… (OK not everything on a sailboat is fun). We motored the entire trip and arrived at the entrance to Avalon Harbor at 3pm and were immediately met by the Harbor Patrol Boat. The Officer was great… We were assigned a mooring and several minutes later were tied off. 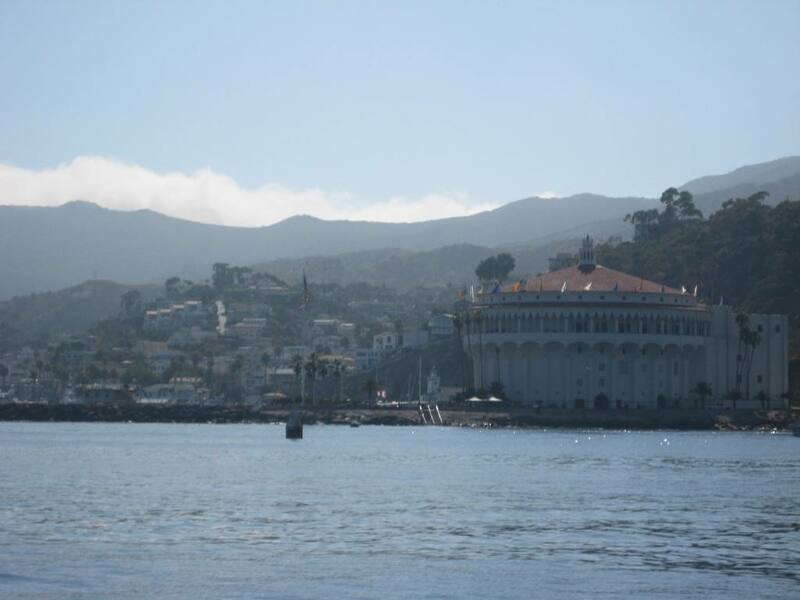 We are sitting within a rock’s throw of the Avalon’s icon “The Casino”, which is deceiving since it never actually had gambling. The Casino was built for the Big Bands of the 1920’s and dancing. It has been frequented by some of Hollywood’s greatest. The Casino has a Live Web Cam. 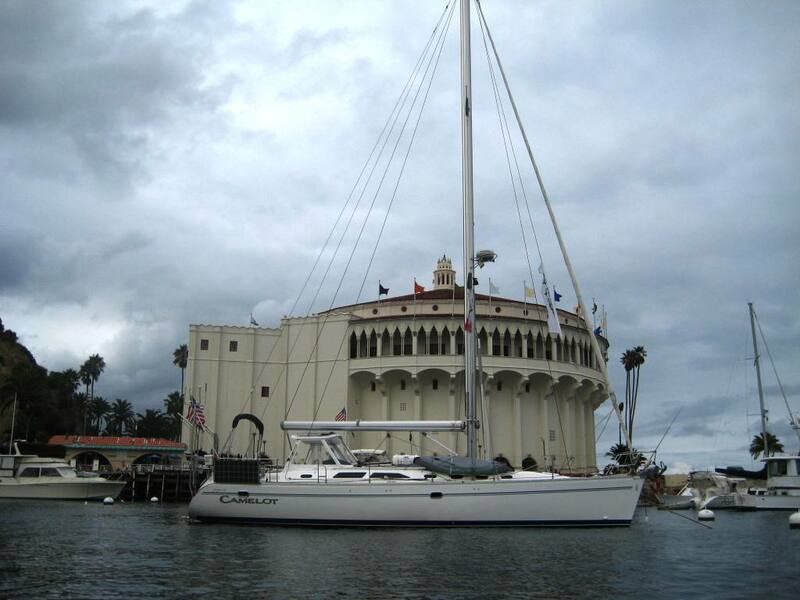 CLICK HERE to see Camelot in the Harbor. Well we are going to settle in tonight and start exploring tomorrow. The town itself has lots of little shops and restaurants. Although we missed you at Buccaneers Days, we met up with you at Avalon. Really enjoyed chatting with you across the water…..you are a wealth of information….can’t wait to hear more…your posting are really educational. I hope to join you on the HaHa and the puddle jump one day soon. Really looking forward to keeping tabs on your movements and trip and the ins and outs. Save us a lot of headache. Thanks for putting in the work for us…haha Hope we see you all again, of that I am sure. Be safe. A nice intercept on your contact with INTERCON NCS Bill KA4KSB in New Bern, NC this morning. In CenTex today, Stonewall VFD “Fish Fry”, an annual benefit, $$ for ops, superior WX here for a great community gathering.